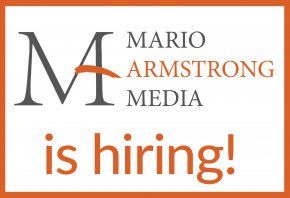 Mario Armstrong Media, LLC is looking for a freelance, very experienced Social Media Marketer. This person would be primarily responsible for aggressively driving traffic & engagement to a site which helps entrepreneurs and small business owners get solutions to their most common challenges. Additionally, the ideal candidate would be responsible for generating detailed analytic reports, executing marketing buys, and identifying audiences through organic and paid media. Mario Armstrong Media, LLC is a media company is a very supportive and flexible company that treats team members with the utmost respect, pushes team members to make an impact that they enjoy delivering and gives you significant room for creative independence to launch your ideas. We are based in Baltimore and NYC, however this position is virtual, work from anywhere and you get to work with Mario which is a lot of upbeat fun! This is a CONTRACTUAL position for a 3 month contract working with one of our National clients. There is the possibility of a long-term extension. Responsible for developing and sharing content across owned and earned social channels, including tweets, status updates, photos and videos. Creates, manages and grows content presence across social media channels, including, but not limited to blogs, Twitter, Facebook, Periscope, LinkedIn, YouTube and Instagram. Leverages measurement tools to provide reports and mine insights, while continually finding ways to improve on those metrics through testing and new initiatives. Minimum 2 -years working experience in social media or related field. Demonstrable social networking experience on social media platforms, including, but not limited to Facebook, Twitter, YouTube, Instagram and some social analytics tools knowledge.